HubSpot recently announced a highly needed native integration with their HubSpot Marketing, Sales, and Service hubs. Yup, you guessed it. It’s native video. HubSpot has teamed up with video powerhouse, Vidyard, to bring you video tools that are practical, easy-to-use, and ultimately will help even the most novice video user get started today from directly inside the HubSpot platform. I had the opportunity to sit down with Taylor Biggin from the Product Marketing team at Vidyard to get the scoop on all the great things this new integration will mean for you. Whether, you’re using the marketing, sales, or service hubs in HubSpot, this new integration and partnership will radically improve your ability to use video day-to-day. Before you dig in to the article, I want to clarify a few things that are a bit confusing in terms of naming conventions and packages. HubSpot Video in itself is free for HubSpot Pro and Enterprise customers and already lives in your HubSpot portal. However, Vidyard also offers paid versions which unlock additional features and also give you a Vidyard portal to manage different capabilities. I’ve addressed the cost of these paid tiers at the bottom of this article but for accurate and up-to-date information you can always check out the Vidyard website. All of the HubSpot hubs have Basic, Professional, and Enterprise levels. The Vidyard HubSpot Integration, the new feature we’re talking about, also has a Free, Starter, and Plus level for marketing use. In addition, Vidyard GoVideo for HubSpot is a separate feature which has upgrades which I’ll also address below. 1. What is HubSpot Video? In its simplest form, HubSpot has brought the capabilities of Vidyard such as video hosting, embedding, and sharing videos natively into HubSpot. In the past, if you were a HubSpot user who wanted to embed video into a landing page, blog post, or other website page, you would have to leverage two separate platforms. On one side, you’d be using HubSpot to design and manage these pages, then you would need a separate video host like Vidyard or YouTube to manage your video files. Not an ideal workflow. For HubSpot Marketing users, the HubSpot Vidyard integration is an integrated hub for hosting and embedding videos right inside the same toolbar you would use to add images or format your text. For HubSpot Sales and Service Hub users, you’ll now have Vidyard GoVideo integrated into the workflow that you’re already using, likely on a daily basis. As users are writing emails in the contact record, you’ll once again have a simple button to record and add 1:1 video messages. No more jumping from platform to platform. Everything you need to incorporate video into your sales and marketing processes is right within HubSpot and working seamlessly together. 2. Why did HubSpot Choose to Partner with Vidyard? Obviously, there has always been tremendous opportunity for sales, service, and marketing users of both platforms to leverage video throughout the customer journey. HubSpot chose Vidyard to power its native video functionality primarily because it brings all the power of Vidyard’s platform (i.e. personalization, extensive analytics, lead generation abilities, etc.) into its own central hub, or “Growth Stack” as HubSpot refers to it. Having all these tools in one central place makes it easy for organization to start using video without needing a separate system. 3. Do I Need to Have a Vidyard Account to Get the Most Out of the Integration? To have access to HubSpot Video for Marketing Hub, Sales Hub, or Service Hub, you must have a HubSpot Pro or Enterprise account. As long as you fit that bill, you don’t need a Vidyard account. From there, there are paid upgrade tiers that help you unlock additional functionality on the marketing, sales, and service side that are available if you do have a Vidyard account. 4. What’s Included With HubSpot Video for Free? For Marketing Hub users of HubSpot, you’ll now have the ability to host up to 250 videos for no additional cost. These videos can be embedded on any page within HubSpot with calls-to-action (CTAs), a stylized player, and HubSpot form overlays. The call-to-action designer is pretty simple but will allow you to add custom buttons to the beginning or end of your videos. You can route these CTAs to any URL you choose and include them in your existing campaigns. Going further into customization, you can style your player color, add metadata like titles, descriptions or tags, and choose a custom thumbnail. You can even upload your own thumbnail designs onto your video. 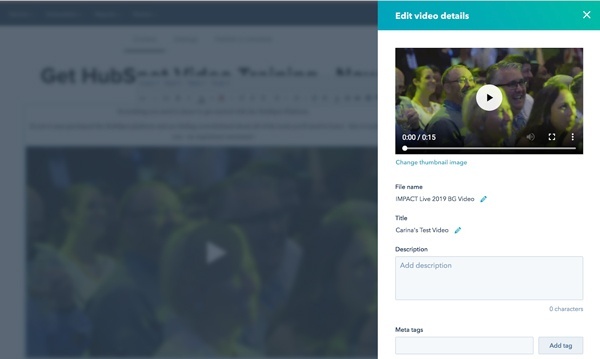 Additionally, you’ll be able to add HubSpot forms at the beginning or end of your videos, but it’s not possible to force a form fill before continuing a video at this time. You can also use any of these uploaded videos in the social media publishing feature of HubSpot, just without any the above customization. You can measure and report on your video’s performance from HubSpot with metrics like video views and viewer drop off rates. 5. How Can Sales Teams Use HubSpot Video in the Sales Process? The Vidyard HubSpot integration brings with it all of the features and functions of Vidyard GoVideo such as recording your screen and recording from your webcam. You can then take these videos into your emails and send them to prospects all within the HubSpot CRM, with the benefit of tracking whether or not your prospects actually view the video. When you upgrade to GoVideo for teams, in HubSpot, you’ll unlock features like shared team folders which allow sales and service teams to access your Vidyard library and add those videos to emails. “Now you can not only send videos of yourself talking to your prospects, but pair your introduction video with a product demo or a couple customer testimonials.” says Taylor. Another great feature of the upgrade is the branded sharing page that your GoVideo recordings are embedded on. Contrary to the ‘default’ sharing page which comes with the free version, you can customize your sharing page to look and feel like your website. For a more detailed look at how our sales team uses video in their process, check out this article from our Chief Strategy Officer, Tom DiScipio. 6. What If My Sales Team Isn’t Using the HubSpot CRM? Vidyard GoVideo is by no means exclusively available inside HubSpot. It is available as a free Chrome extension that can be used by any sales rep (or person for that matter) who wants to use it in Gmail, for instance. Even if you’re using a different sales outreach tool outside of HubSpot, it’s quite possible that GoVideo is integrated there too. 7. What's the Major Benefit of Upgrading to HubSpot Video Starter or Plus? If you’re an organization looking for more advanced functionality, purchasing a plan from the paid tiers may be a good fit for you. With the standard HubSpot Video product, you’ll have access to basic analytics on individual videos, simplistic calls-to-action, and the ability to embed videos on HubSpot pages alone. 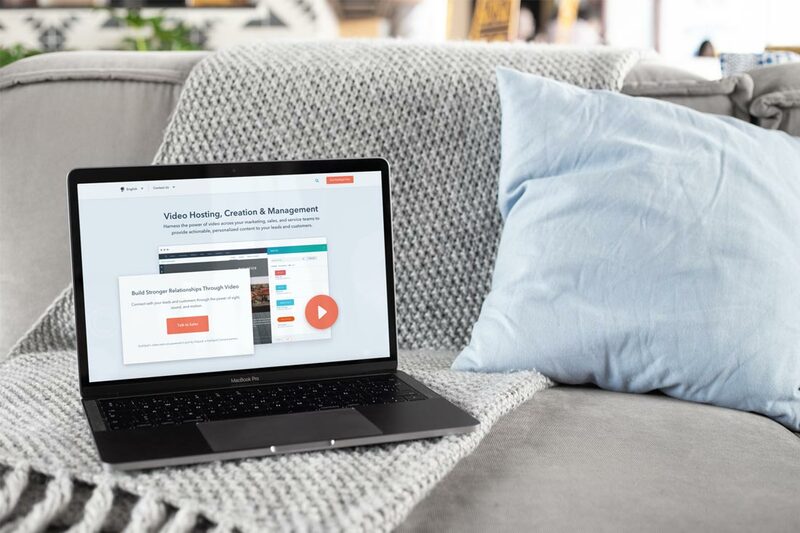 With Vidyard Starter and Plus, however, you’ll be able to take your videos hosted on HubSpot and embed them on pages off the platform as well. This is great news for many companies who might have their website hosted elsewhere, like WordPress, for example. HubSpot Video Starter and Plus also include fully customizable calls-to-action. Another great feature that I think is important to highlight is the ability to do A/B split testing. 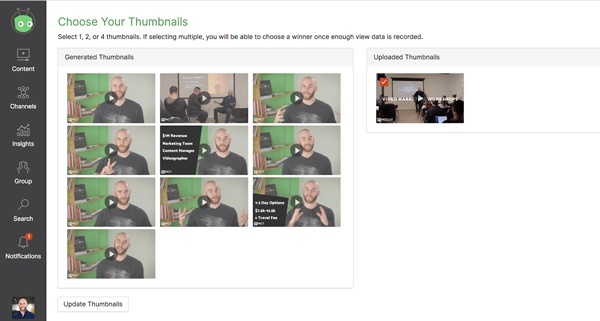 With the Vidyard platform, you can test up to four thumbnail variations at once, which will help you pick thumbnails that increase views on every video you’ve got on your website. Awesome, right? Both Vidyard paid tiers (Starter and Plus) will give you access to the Vidyard core platform, or in other words, you’ll have a Vidyard account and dashboard as well. With the Vidyard Plus, you’ll have all those native tools plus a Vidyard account that feeds advanced viewer information like view and view duration per user, back into HubSpot. You can also use this information to score and segment your database in certain ways. Without it, you won’t be able to generate lists of contacts who watched certain videos. 8. What If I’m Already Using Another Video Hosting Platform? It’s quite possible if you’re already leveraging video in your marketing or sales efforts, that you already have a video hosting solution. Taylor and I discussed one of the major reasons why you would consider changing things up. HubSpot Video is free as an existing HubSpot Pro or Enterprise user. You may find the tools you have with another provider are comparable with HubSpot Video, but likely not within the HubSpot platform. Once again, a major value-add with this whole conversation is that HubSpot Video is the only way to record and embed videos natively in HubSpot. No other video hosting platform will make a HubSpot users life simpler. 9. So, How Do I Make the Switch from Another Video Hosting Platform? To be clear, if you’re using the HubSpot Video free integration, you’ll need to reupload that content into HubSpot. Unfortunately, at this time, there isn’t a kind of “quick” migration function. However, Vidyard has made the process of migrating your content very easy, if you upgrade to Vidyard Plus. In fact, it’s pretty hands-free because they’ll help you do it. 10. How Much Does HubSpot Video Cost? For HubSpot Pro and Enterprise users, HubSpot video is already live in your HubSpot portal. It’s going for the low cost of free and included as long as you’re paying for HubSpot. 11. What’s the Next Best Step? If you’re a marketing team who is already using video, your next best step is to start maximizing the HubSpot Marketing free integration and embedding videos on your website pages. You may already have video assets you could start using today. If you’re a marketing team, who doesn’t have video assets, I would recommend starting by auditing your website for pages that could use a video. Start with landing pages, the contact us page, and major product or service pages. We’ve got lots of great content on Film School for Marketers if you’re struggling to identify what to make first. If you’re a sales team, who may already be leveraging GoVideo or personal 1:1 video messaging, test out the GoVideo extension within the HubSpot CRM. You may find that this is the most simple and effective approach to sending and tracking videos. If you have other assets like customer testimonials, product demos, or other helpful educational content you can send those as well. If you’re a sales team that hasn’t yet embraced video in your process, you should identify quick ways to begin. Sending 1:1 video messages with proposals or quotes is a great place to start. Furthermore, repurposing any existing marketing content will help you get familiar with the tools. If you’re looking for a partner to get started on your video or Vidyard journey, we’ve partnered with Vidyard to help get you up and running and eliminate the sharp learning curve you may experience on your own. We’ve added Vidyard specific training to our product offerings here at IMPACT both in our ongoing video consulting and our on-site company trainings. This couples our powerful video training that jump-starts your team with video production and strategy with the powerful tools that Vidyard offers up for marketing, sales, and service teams.